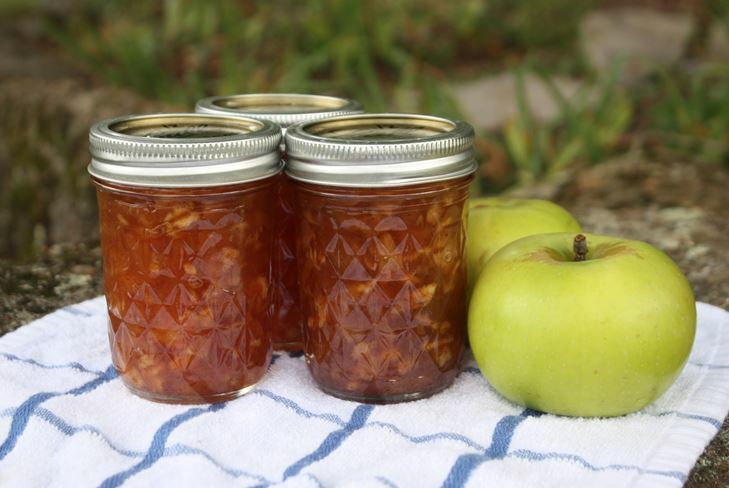 Apple jam can be cooked in a pan, but to prepare it in the crock-pot simpler, and these two ways not too differ with tastes. And it is unimportant, what firm at you the crock-pot - Redmond, Phillips, Panasonik, Marta, Scarlett - jam can be made in any. Some brands have a special mode for this purpose which and is called, "jam", but "suppression" will approach not worse, the most important – not to forget to mix approximately time 10 minutes all weight. 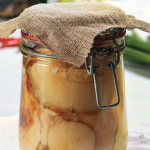 What it is possible to prepare from apples in the crock-pot? 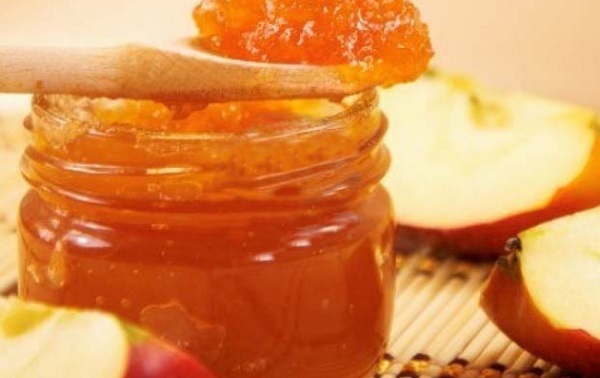 Preparations of apples for the winter in the crock-pot include both jam, and different fruit and berries jam - to make jam, but not usual jam, break weight the blender and add a little pectin. We prepared for you apples dishes in the crock-pot for every taste. 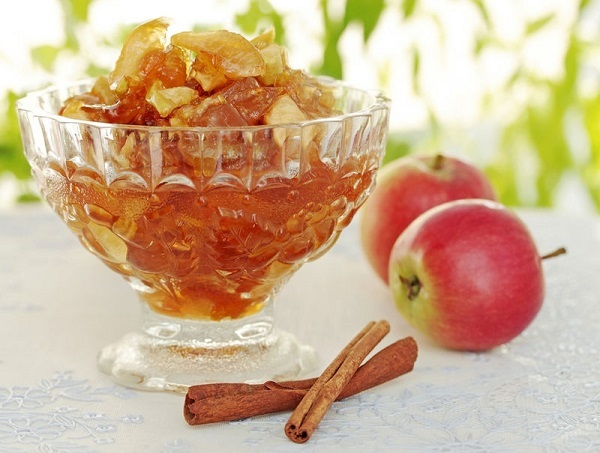 It will be necessary for you: apples and sugar in a proportion one to one. The grade of apples can be any but if you choose what in itself is very sweet, sugar it will be necessary to put slightly less. Wash up apples and dry them. 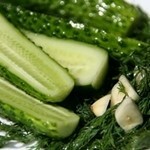 Cut in half, remove a core with seeds and cut segments (approximately identical thickness and not thick, around 1 cm). Put segments in a bowl and put on "suppression", for 1 hour of time. While fruit is stewed, prepare banks for jam: their and their covers should be washed up and, it is desirable, to sterilize boiled water. In 20 minutes add sugar, accurately stir, trying not to scratch a bowl. Continue suppression, watching sugar - as soon as all particles are dissolved, once again carefully mix. Put jam in banks and roll up them by standard rules. Apple jam segments in the crock-pot is ready! Apples, lemons, oranges and sugar will be necessary for you. If you do a small portion, on several times for one person, for example, or to eat him all family almost at once, take these products in such proportions: two apples and two lemons (small), one orange and 150 g of sugar. 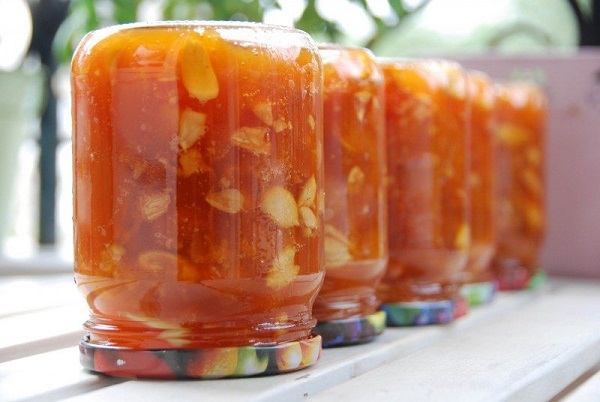 It is special type of jam - low-sweet, it well approaches tea in the mornings, and for those who wants to reduce the everyday use of sweets. It has a pleasant sourish and fruit taste but if you wish to make more sweet, simply take more sugar. Wash up all fruit and peel them. Then - small cut (for example, cubes), trying not to lose juice, and then put in a bowl and fill up with sugar. Put the jam mode on an hour and a half if you have this function, or "suppression" for the same time. Periodically stir slowly jam. For this recipe take 1 kg of apples (it is best of all than a sweet-sour grade, with dense pulp), 500 g of sugar, a half of a lemon, 100 ml of water and a stick of cinnamon. Wash up apples and cut them in small cubes. Put in a bowl. Cut a half of a lemon on 2-3 large pieces and juice from them sprinkle the cut apples. It is not necessary to clear a lemon of a peel! Pitch a stick of cinnamon in the coffee grinder and fill up there, in apples, cinnamon powder. It is possible as well it is simple to break a stick and to put in a bowl large pieces of cinnamon, but then it is necessary to pull out them then. Fill up sugar and pour in water. Put on the jam mode or suppression" for hour and 10 minutes. Sometimes stir slowly. After you pull out jam, take from it a lemon and cinnamon (if you broke it). Jam is ready! 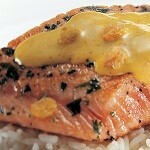 It is possible to eat it right now, but it is better to cool a little. In some types of this recipe add to the jam boiling still also 50 g of rum. Alcohol honor all it is evaporated because of temperature, leaving hardly noticeable smack.